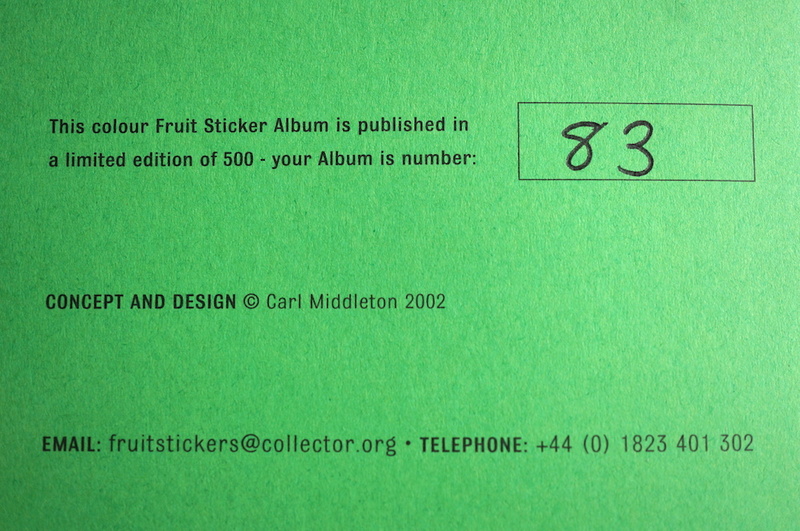 A pencil talk Instagram post that got some direct queries and interest featured the Fruit Sticker Album. This very interesting small book was picked up on my London Trip at Choosing Keeping. For £5, it is a bargain. As specialized as oh – a pencil blog – might be, the well of ephemeral interests run even deeper. 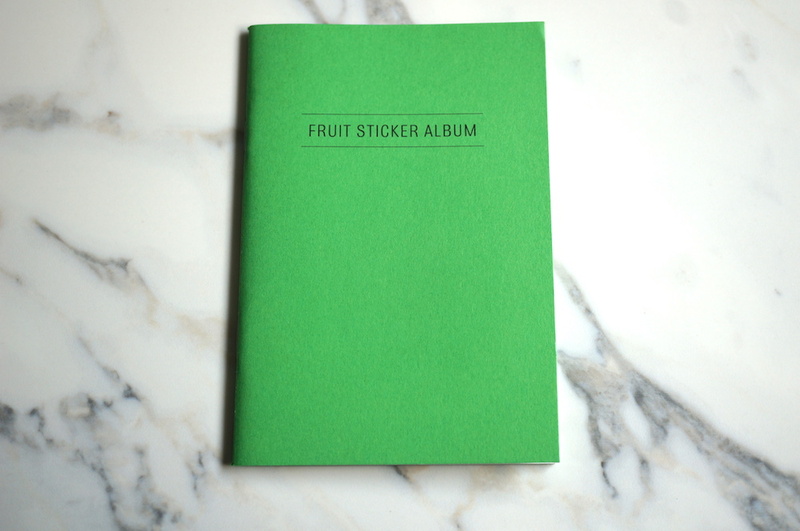 Someone has published a book for collecting fruit stickers! 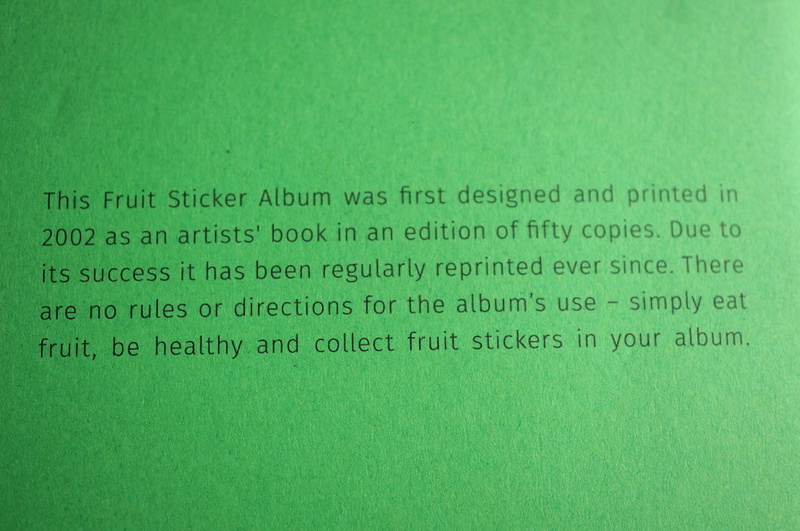 Here is some more information on fruit stickers. And even documentation – “9” means organic! 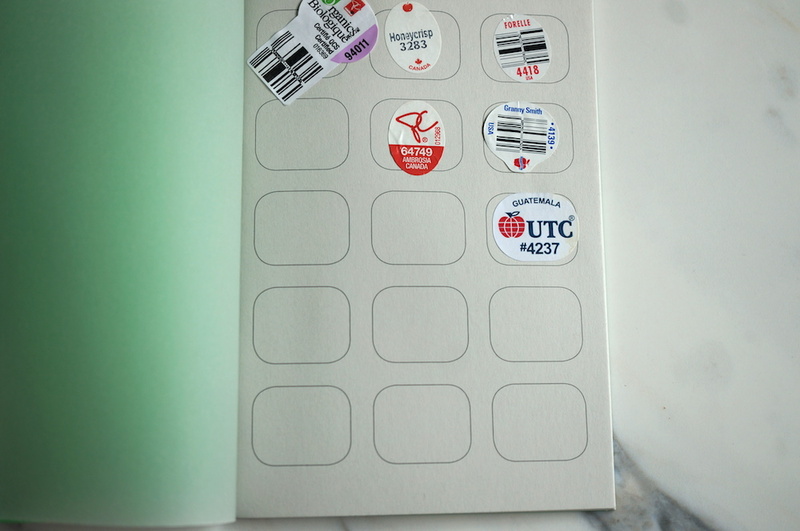 So about the book – there is a cardboard cover, translucent overlay page, then 24 right hand pages that hold 15 stickers a page – allowing one to accumulate 360 stickers. The copyright notice indicates that we can give thanks to Carl Middleton for this small joy! 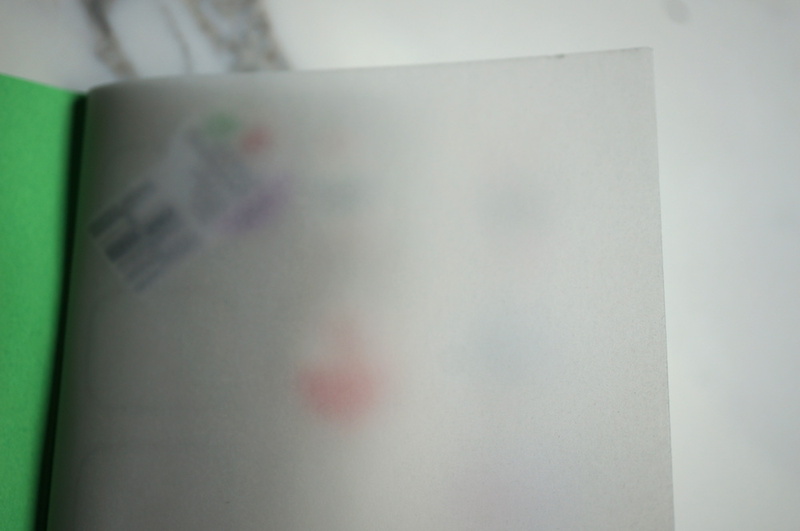 I love the idea of attention being paid to the most invisible, mundane forms of design. Thanks for sharing this.